US Secretary of State Mike Pompeo calls on Prime Minister Imran Khan on Wednesday. Chief of Army Staff General Qamar Javed Bajwa, Foreign Minister Shah Mehmood Qureshi and others are also present in the meeting. Pompeo is accompanied by other state department officials. Earlier in the day, Pompeo visited the foreign office and met Qureshi. 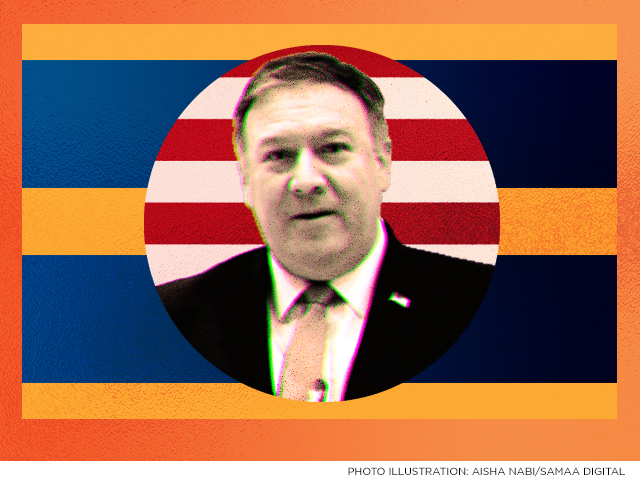 Before arriving in Pakistan, the US secretary of state said he would emphasize in meetings in Islamabad that Pakistan needed to help end the Afghan conflict, America’s longest war.